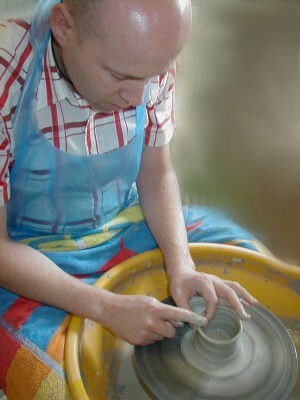 The course provides personal tuition from 10:30 am until 4:30 pm and includes all materials used (firing costs on top). We normally take a one hour lunch break at 1:00. You are welcome to bring a packed lunch or visit one of our local pubs. We end the course with reflection on the day and the pots you have made. You can chose to have your work fired at a nominal cost if you wish. 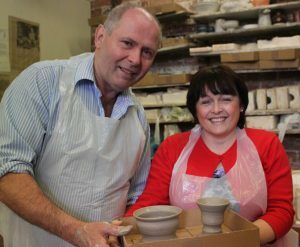 Once fired your pots can be picked up. This normally takes three or four weeks. Intermediate and advanced courses are also available. Because these are personal tuition sessions we can focus the attention on your particular needs.